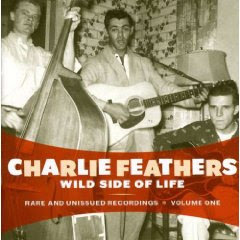 Mississippi-born Charlie Feathers — country crooner, rockabilly yelper, and hillbilly-blues shouter — never quite made it big during the pioneer days of rock ’n’ roll — or any time afterward, for that matter. But, like Carl Perkins sang in a latter-day rockabilly tune, he was there when it happened. Feathers worked as a session cat at Sun Studio before splitting off from the label. 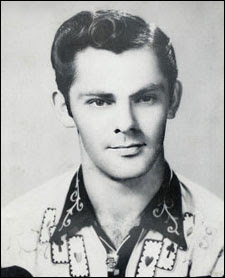 He even wrote an early Elvis tune, “I Forgot to Remember to Forget.” And though Feathers never came close to the fame and financial success of Elvis, he did have an all-female fan club revolving around a Memphis house occupied by several fanatical telephone operators — 30 of them (!) living in one house, Feathers claimed in a recorded interview. That’s a fantasy come true that would make most guys jealous. Feathers, who died in 1998, is the subject of a new three-volume collection of outtakes, demos, and obscurities from the mighty Norton Records label. The albums are Wild Side of Life: Rare and Unissued Recordings, Volume One; Honky Tonk Kind: Rare and Unissued Recordings, Volume Two; and Long Time Ago: Rare and Unissued Recordings, Volume Three. The albums offer a hodgepodge of Feathers’ music, including a big chunk of lo-fi tracks and studio jamming. According to the liner notes, these albums “cherry pick a full spectrum of one-off singles, LP cuts, home demos, and live recordings from previously unreleased late ’50s Sun demos clear through the criminally underrated singles he waxed for his own Feathers imprint in the early ’80s.” There doesn’t seem to be any particular order to the material here; it’s certainly not chronological. You just have to sit back and enjoy the glorious jumble. Feathers could write decent country songs himself. One of my favorites is “Two to Choose,” on Honky Tonk Kind, which he recorded as a duet with his daughter Wanda Feathers in 1973. Also notable is “I Lose My Mind,” found on Honky Tonk Kind (a fast version that sounds like a home recording) and on Long Time Ago (a slower, more haunting version with a stand-up bass). Then there’s “Dinky John” on Honky Tonk Kind, which probably was an answer to Jimmy Dean’s “Big Bad John.” I won’t give away the ending, but let’s just say that anti-gun activists who advocate for mandatory trigger locks to protect children might want to give this a listen. Even stranger is a big, bad voodoo rocker called “Jungle Fever.” No, this Feathers original (co-written with his buddy Ramon Maupin) has nothing to do with Spike Lee’s movie of the same name, and if it deals with a mixed-race relationship, it’s not apparent in the lyrics. “Darkness creeping through the green/Jungle fever got a hold on me/Won’t somebody tell me where can my baby be?” There are two versions on Long Time Ago, one from 1958 and one from 1980 that features a weird funk-guitar break in the middle. My only complaint with this collection is that the liner notes, as interesting as they are, don’t include recording details for all the tracks. Then again, you have to ask: Did you come to read or come to hear great American music? 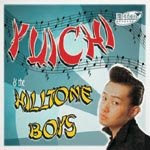 * Yuichi & The Hilltone Boys. This is a new album from a Japanese rockabilly unit — released on a label from Spain, no less. Rockabilly started 50 years ago, but it’s still conquering the world. Yuichi does a credible version of Roy Orbison’s “Oobie Doobie,” while “Bluest Boy in Town” is Elvis’ “That’s All Right, Mama” in disguise. Rockabilly madness: this week on The Santa Fe Opry, 10 p.m. Friday on KSFR-FM 101.1. 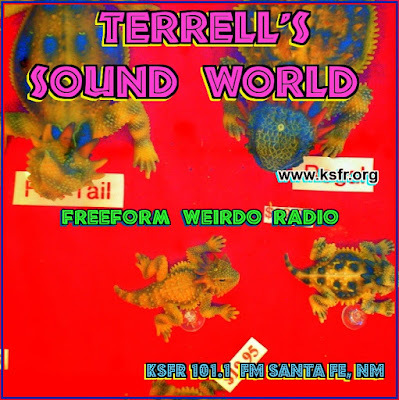 And don’t forget Terrell’s Sound World, free-form weirdo radio, same time, same station, on Sunday.